This ripped duo are making waves in Lucha Underground and with Ultima Lucha Dos coming up they have a good chance of making their way up the chart in the next couple of weeks. For now they captured last place above a group of other decent heel performances this week through their combined efforts to get Mundo the win over a game Fenix. Mexico’s greatest export had a good week in the WWE, although you can’t help but wonder how he would be doing now if he had stayed in Lucha Underground. LU has a good track record of cycling talent into and out of the main event but never really burying them under a ton of others as everyone gets some type of storyline, no matter where they are on the card. WWE on the other hand usually has the environment of; if you are up then you are up, but if you are not then you quickly become irrelevant, which Del Rio has a danger of becoming even with his general status. A decent anti-American rallying cry was delivered by Jericho this week on the 4th of July Raw, but it was not enough to keep his team together and get a win in their multi-man tag match. Both Raw and Smackdown felt different this week, seeming to try some less cookie-cutter stuff, which makes you wonder if they are experimenting with different creative minds behind the scenes in preparation for the draft. Whatever is actually going on I am a fan and I hope that these new, or at least recycled angles, continue going forward. Also plus points to Jericho for singing the Canadian national anthem on America’s birthday. 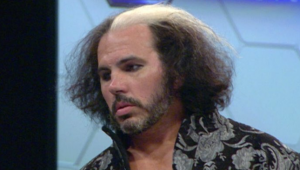 I can’t even with Matt Hardy any more, every time he loses his accent changes and his hair gets even crazier, bringing out his inner hamster more and more. At this point his feud with his brother is just ridiculous since he hasn’t won a single match against him in TNA, as if we needed any more proof as to who is seen as the better Hardy. I can’t think of another pair of performers who have worked so hard to make me not like them despite their apparent talent due to their own arrogance and clear belief that they are creative geniuses. This type of stuff might actually work if it was in the world of Lucha Underground, but in a wrestling promotion based at least mostly in reality the whole thing is way too over the top and cheesy, and yet it is getting top billing on multiple episodes, further reinforcing that those behind TNA have no idea what they are doing. The TNA champion managed to see off two strong challengers this week at the same time, although now apparently he has to go up against Mike Bennett in what looks to be a strange move. This is why ‘Option C’ is something that should really be gotten rid of as it is more of a burden than anything else. It hasn’t happened enough to have the multiple failures that could mount up each year if the tiny pool of X Division talent TNA has now cash in, hence Bennett’s gaining of the title, but to have any of these guys win makes no sense either. MitB has enough flexibility so as to still be useful, and the Gift of the Gods title has almost too much flexibility if we are being honest, but at least it can be used by anyone at any time if you told the right story. ‘Option C’, on the other hand leads to contrived storylines like this where one heel is threatening to challenge another for the title whilst (in my opinion) burying the whole X Division by taking the title and seeing it as nothing but a stepping stone, while apparently being able to actually beat the guys who compete in the division for real. This week Brooke gets her name first as I think she gave the better heel performance, although not enough to separate them from each other in their listing. While Charlotte mostly holds her own in the top spot of the women’s division, you can see her falter often in her promos and there is still something lacking. Part of me feels like if she was a male talent she would have her back up actually fill in for her weak spots, like with Enzo & Cass. Whereas because she is a woman the WWE feels like that would look patronising, even though it would make complete sense all things being equal, and so she is mostly left to exist on her own, even whilst having backup. Dana on the other hand has gone from strength to strength in my view, especially in the leap between NXT and main roster. On NXT she was more annoying than entertaining, but now she is on the main show she comes across better and I think could be a big player in her own right given the time and opportunity. Bar foreign caricatures, there is no one better at antagonising Americans on the 4th of July. 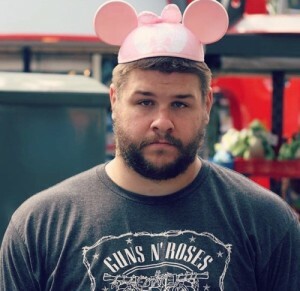 In my fandom I kind of wish that the food fight segment of Raw had ended with Owens coming out from under the table and saying “this would have never happened on Canada Day”, but I get why they felt like they had to pie him. Americans love to see people get their just desserts. Although I hated that camera switch as the pie came in, WWE sometimes makes weird production decisions that completely break format and ruin the suspension of disbelief; like Teddie Long’s Undertaker limo ride. Aside from being pied Owens once again couldn’t help but screw himself over in his continued hatred for his former friend Sami Zayn. It is a simple story between the two but I kind of like it if for nothing more than the consistency it holds: these two can’t progress in their WWE careers while the other is around because they hate each other so much. This angle not only gives them a fiery personal rivalry that leads to some great matches, but also gives an explanation for any lack of perceived career advancement as has befallen so many upper-mid-card talent before them. While people were predicting and then bewailing Cody Rhodes’ and Dolph Ziggler’s lack of title opportunities, these two could go on feuding for ages before that type of thing starts up, which keeps their momentum up and will probably actually lead to more title opportunities down the road. These two run Impact right now, especially with Bennett possessing the X Division title. There is definitely some intrigue over whether Bennett will actually face Lashley or not, although not enough to put down the entire X Division perhaps (all three of them!). The problem with these two in their current position, despite their apparent entertainment value, is that they completely eclipse the divisions they are focused on due to the lack of depth in the TNA roster. People go on about WWE not building new stars but TNA is just as guilty and they don’t have the same problem of everyone booing their hand-picked competitors as TNA fans seem to swallow everything they are given and ask for more. I debated whether to include the Knockouts champion and the assistant in this listing but seeing as how they appeared completely separately on the show I decided against it, but I’m sure they will get their day as they too are a heel force to be reckoned with. Part of me questions why the Miz is getting so much gusto upon his return, especially when compared to guys like Cesaro. Then again you can’t really begrudge someone for taking the opportunity to do champion vs. champion twice in a week, losing both times no less. This is where heels like Miz definitely excel, because they are unlikable enough so that no matter who you are you don’t feel cheated when they lose. If it had been Cesaro in this position then many fans, probably including myself, would be complaining how weak it made him look. With the Miz however you are just surprised that he is allowed to go against the WWE champion, even if it is Dean Ambrose. Perception is everything in professional wrestling. When it comes to a wrestler who is over in the IWC, nothing will ever be enough. If they are not champion then they should be, and if they are champ and don’t beat everyone that comes up against them then they are being booked to look weak. Whereas when it comes to those not chosen by the IWC, if they go near a title we cry that they are getting too many shots, and woe betide them if they actually win the belt and then go on to defend it successfully against multiple opponents. Now I am as guilty of this as anyone, but it is funny to notice your own hypocrisy, justifications and rationalisations for what essentially boils down to favouritism, if hopefully a favouritism based on merit and ability over size and marketing. On a related note let me just say that I have never liked Rusev and I wouldn’t care if he lost ever. The guy just never clicked with me and hasn’t grown on me over the last few years either. This could be something to do with not being American and not seeing the stereotypical foreign heel thing as appealing, either as something to root for, or against. The arguably subtler Canadian heel is a different matter however as usually those characters appeal more to morality and attitude as to why they are anti-USA rather than some generic ‘boo America’ stance. It’s hard to argue however with the overall advantage that the stereotypical foreign heel has on the fourth of July. Rusev’s beating of Titus O’Neil was a great moment of the WWE deflating its own audience and almost mocking them in the All-American spirit that they were up until that point fostering to the extreme. I think that any non-US resident will never understand the whole ‘USA!USA!USA!’ mentality, if nothing else than because we can’t celebrate our nation’s birthday because they are too ancient and complicated. It’s like a 56 year old trying to recapture the spirit of someone turning 21, it just seems foolish by that point. Add to this crushing of the US spirit the fact that he defended his US title twice this week and you can see how Rusev managed to top the chart, if for this week only. Once again however we are in the position to ask just who can take the US title off of the man if Titus couldn’t on the most American day of the year. That’s all for this week, guys like Seth Rollins and AJ Styles need to be more consistent if they want to claim a place on the chart. Although soon things will be a lot fairer for all the heels of the western televised world when the brand split rolls in since everyone will get mostly one appearance a week to earn all their points. The brand split could also lead to the rise of new stars in the WWE and you can believe that Kevin Owens will be one of them if he is ever able to finally vanquish Sami Zayn, hey maybe they should have a ‘final deletion’ match, that was if they were retarded.